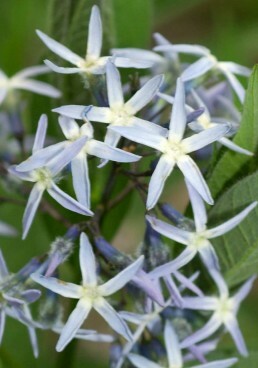 Herbaceous perennial that will bloom clusters of tiny stars. 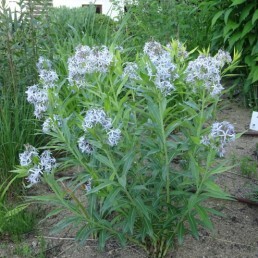 Will attract butterflies and tolerate deer. 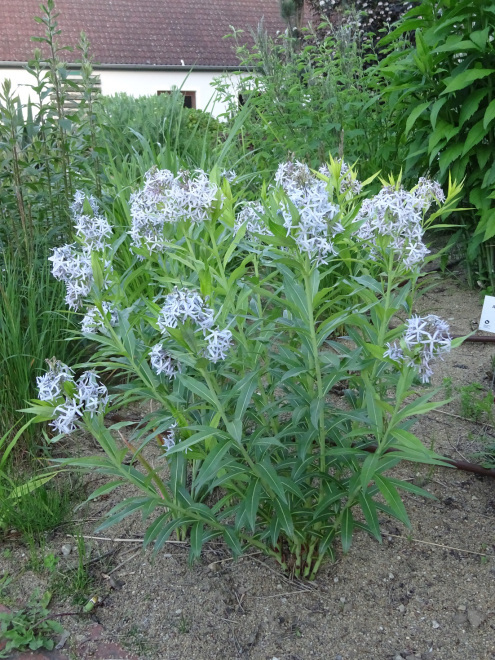 Amsonia illustris prefers moist loamy soils but will tolerate some drought. For a tidy appearance plants grown in the shade or rich soils might need pruning or staking. Leaves will turn golden during the fall.